The wait is over… NEW Midnight Foam is at all FDI locations! | Flowers Direct Inc. The wait is over... NEW Midnight Foam is at all FDI locations! 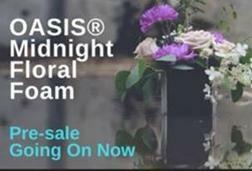 Flowers Direct Inc. > Flower Talk > Floral Industry NEWS > The wait is over… NEW Midnight Foam is at all FDI locations!